Where Do Your Wants, Desires, Intentions And Goals REALLY Come From? In most self-help, personal development, manifestation, even spiritual development systems, you’re told to start by getting crystal clear on what you want — to get crystal clear on what your goals and intentions are. You then think, analyze, consider, meditate, in an attempt to get crystal clear. Then you add change, fix and improve “wishes” to your list of wants , desires, goals and intentions. Finally, you then use some sort of technique to manifest or attract what’s on your list. Seldom, if ever, do you question where your list of wants, desires, intentions and goals came from. Seldom, if ever, do you question whether your list represents what you REALLY want, meaning, asking yourself if getting those things would REALLY make you feel happy, fulfilled and satisfied, and create a true and permanent improvement to your quality of life. In the audio below, I take a brutally honest look at this dynamic. 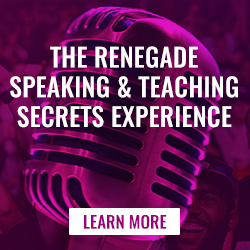 My intent for this audio post is to drop a few bombs and drops into the “pond” of your life that can ripple out in highly positive and transformative ways. If you like what you hear, please share this post with people you career about, however you chose to do it. Very insightful podcasts from today. Hi Robert: Ultimate Freedom. Now, there’s a desire worth aspiring to. 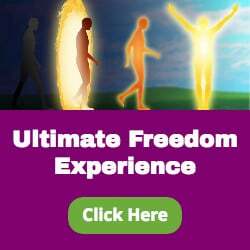 Though I am not formally a Phase 3 Player (from having demonstrated the appreciation and “bought the T-shirt yet) I’m thinking about the dynamics of “ultimate freedom” in the context of your podcast here as well as your previous teachings. If there is anything linear about the progression of your thinking, I’m getting a glimmer of what “ultimate freedom” may look like. I’d appreciate any feedback. My thinking hinges on what I believe to be a consistency in your teachings with what you are now alluding to as the “secret” to “ultimate freedom”. It seems to me that this freedom comes when you “let go”. Recently, I had a really life shaking experience. I was in a position where I was denied “freedom” to do most anything of any normal experience for a period of one week. During this period something transformational occurred. I am one who has had extremely strong political and economic and social views for a very long time. I have been deeply involved and committed to political ideologies and Presidential Campaigns and all of those dynamics. I diligently monitored the key and critical events; read the selected news sources; watched the informed distributors of knowledge and intelligence; listened to the Talk Shows, etc. I was current and steeped in the brew. Then, something changed. During this week that I referenced, where my usual freedom to choose and postpone and divert and procrastinate disappeared. I’d been meaning to read a particularly challenging book of over 600 pages for many years. It had been sitting on my book shelf for over 7 years unread. But, this was the week in which it was not only going to be read, it was the single and only thing that I was going to do. It was no easy or breezy undertaking; it was a hard slog. But, I did it and it changed me. When I put that book down, 7 months ago, I gave up following the political news, the economic events, the battles in Washington D.C., my anger over world events, my concerns over political battles won or lost, or any of day to day hype, babble, and rabble. I just simply came to a conclusion based upon reading that book that I could “let go” of that whole universe of attention. And I did. My life did not end. My day to day routines and monitoring and thinking now abandoned did not give rise to a black void and leave me with nothing to do. It just didn’t matter any more. Did I find that I was suddenly free to do so many other things? No, not really. Other things that existed previously on my “list of things I wanted; wanted to do” popped on to my mental screen and still nagged at me. Did I find that I was any more successful at achieving those things on the list? No. I still win some lose most. 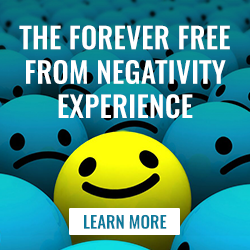 But, the real eye opener to me was how in one short week of fixed attention and the conclusions of that fixed attention, I simply threw an “off switch” on over 40 years of obsessive adherence to activities, practices, emotional reactions, rage and fury, and on and on, and simply walked away. I didn’t know if that act would provide ultimate satisfaction or fulfillment. I still don’t. But, I think that is as close to the feeling of “ultimate freedom” as I have experienced in a long time. It is somewhat akin to the “freedom” that comes when you accept that “you aren’t driving the bus” and you simply must trust in your “Expanded Me”. What say you Robert? Thank you for your words of appreciation. Seeing Clearly seems to be part of the way I’ve been “built” as a character, and I appreciate that myself very much too as it is very important to me to see and express clearly and Truthfully, as best as I can. Awakening Ultimate Freedom in your story, which is how I describe it, is very different from the other Teachings I’ve shared. There are no techniques, no practices, nothing to “do” every day or in certain situations. It is something that “just happens,” just wakes up, at the end of a journey on what I call The Truth Path. It is an Experience you go through, or I guess you could call it a “process,” an Experience/process that has the potential, in and of itself, to inject a strain of what I call “The Truth Virus” into your system. If it is part of your story, as a result, once The Truth Virus completes its work, which you witness the results of but don’t make happen yourself, Ultimate Freedom awakens and everything changes, in even more radical and extraordinary ways than what happened with the earlier Teachings. It is the most amazing thing I’ve ever Experienced myself or shared as a Teacher and Coach. I had simular experience than Denny also it developed over a period of 5 years or so. I did phase 2 by using Robert s system and then p 3. I noticed deep changes after a few years and it is still expanding. When I am out of this character the Tony unit I feel connected with everything and in peace whatever happens. When I am in this character or acting thru this character I feel the impact of hologram or normal world but even that is losing its effects. Sometimes I an explanation pops into my mind but a few seconds or so later it drops away. Sometimes I feel to say something but loose interest even I am not depressed. My “avatar” is playing aggressively in Phase 2 now. What strikes me more and more – as I do the Appreciation part of the Process – is how economically my expanded Self often creates the illusion and deludes the player Me. So often the most intense “fear” and “rage” and other flavours of Joyfulness are triggered by a thought, Nothing more. Just an idea or a mental image. Nothing’s even happening in Story Space! Just the tiniest output of the mind machine and BAM! I’m at the centre of my biggest egg! I really do appreciate and marvel at the elegance and economy of that. And I “get” the mind machine in a way I never did, including through 30 years of studying and working with it as my profession. Cool, Chris. Thanks for the comment and share. I totally get where you are and, lack of a better term, that shows great progress on The Truth Path! I invite you to perhaps shift your perception of what’s going on a bit. It’s not really that your Expanded Self “deludes” you. I know I once saw it that way and languaged it that way myself, using the words “fools you,” but I see more clearly now. To be more accurate, as I see it now, it’s that your character/player/avatar was simply created, built that way from the ground up, or “written” if you compare it to an author of fiction and characters in his/her story, to not see or Experience The Truth — versus actively being “deluded” or “fooled” all the time on a daily basis. This distortion was present in my earlier languaging, as I now see it, due to my own “issues” at the time that were not fully resolved until later. It may seem like a subtle distinction to some, but to my bias, it’s really HUGE. Thanks for the update re your former language involving “delusion.” The current conceptualization of the character being created to not “See” until of course “Seeing” happens— if that’s what’s called for in the story line. This is, in my Experience indeed a more accurate reflection of reality as well as a more pragmatic metaphor as it removes the compulsion to try to “do something.” Although, in a sense many of us go through the “doing something” phase in order to get to the oy gevalt phase in which there is the possibility of that very real and all pervasive, irreversible change. Thanks for that Robert. A most helpful distinction. Less “paranoid”, to use Phase 1 terminology. The Truth has been there all along, just I (the player) wasn’t constructed to See it yet. Now I do See it – more and more – and that’s a thing of great beauty and joy. Really cool to hang out w the teachings this morning ! . . . “Valuable time” well spent . . . Playing in the Sunshine ! . . . 😉 . . .
Splendid audio. Thank you Robert! If I would not desire anything or so to say I get UF-that means that Essence won’t to be interrupted to do miraculous things to me in its own mysterious way?